All this week, we’ve been asking you to share your skincare woes over on Twitter – and you more than delivered! Alongside our friends at Bioderma we’ve taken note of your most burning skincare questions, from blemish concerns to managing your rosacea during the changing of the seasons. Now’s the time for some answers. To cleanse and remove make-up, we recommend SENSIBIO H2O Micellar Solution, which is perfect for your sensitive skin and it will not increase your blemishes. Try to not use tap water with soap because it could increase your sensitive and dry skin. Use Sensibio H2O twice a day and don’t rinse it – it will act as a toner as well. For your skincare, we recommend HYDRABIO Light, everyday, twice a day. It will hydrate your skin, moisturize and not create blemishes. We also recommend exfoliating your skin once a week, even if it is sensitive, to clean deeper your pores. Use a gentle scrub like HYDRABIO Gentle Exfoliating Cream. For your recurrent spot we recommend a cleanser like SEBIUM H2O Micellar Solution or SEBIUM Foaming Gel every day, twice a day. It will clean remove make-up and gently purify your skin. For your recurrent spot, you can apply SEBIUM Global only on it or all over the face, every day, twice a day. It will purify spots and prevent them from coming back while moisturizing the skin. As a cleanser, make up remover and toner, we recommend you use SENSIBIO H2O all over the face, including your eye area. You don’t need to rinse it so it will soothe your skin and decrease its reactivity. 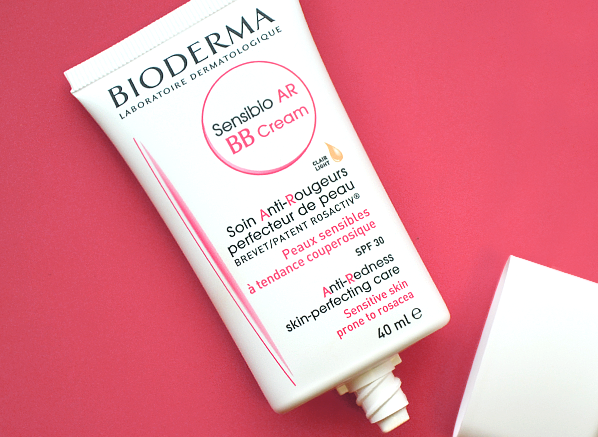 For your daily skincare, we recommend you use SENSIBIO AR BB Cream which treats and prevents redness, moisturizes, soothes your skin and gives a soft velvety finish with a good coverage (light tint). The BB cream benefits from UV protection SPF 30 UVA 17, to avoid redness due to UV rays. If you prefer skincare with no tint to it, we recommend SENSIBIO AR which treats, prevents redness and moisturizes. You are lucky because we have exclusively launched WHITE OBJECTIVE at Escentual.com, a new range dedicated to hyper pigmented skin. We recommend you to use the complete program for a better chance to treat and reduce your pigmented patch. We also recommend you use a SPF product adapted to pigmented patches like PHOTODERM Spot with high UVA UVB protection, which stops the pigmentation process to avoid your patch getting worse. The best cleanser for you would be SENSIBIO H2O. This first micellar water is the most tolerated cleanser and make-up remover for sensitive and redness prone skin. It is important to not rinse it in order to benefit from the soothing effect of the product. As a daily moisturizer we recommend you the SENSIBIO AR which treats and prevents redness during a flare-up and also when it is more settled. The best routine is to use it every day twice a day, all over the face even if you have a medical treatment. For a more cosmetic approach we can also recommend the SENSIBIO AR BB Cream, which matifies the skin – it’s perfect for avoiding a shiny face. SEBIUM H2O Micellar Solution as a cleanser and make up remover, created especially for oily skin. HYDRABIO Light as your daily skincare, all over the face. It hydrates and moisturizes the skin without clogging pores. It is the perfect moisturizer for combination skin with its watery texture. SEBIUM Pore Refiner would be your new best friend. It tightens pores, matifies and prevents blemishes. We recommend you to use it only on your T zone (where it is oily), in the morning before your make-up. During times of stress, your skin is prone to losing more water, making it dehydrated. Maybe it is why you feel it is dryer during that period! To control your skin, we recommend to use HYDRABIO Serum under your daily moisturizer, every day twice a day, which hydrates deeply the skin. Your skin will feel instantly smoother. You can also apply HYDRABIO Mask at night, twice a week, as an intense cure. The best way to use it is to apply a thick layer on a clean and dry skin, and remove the excess after 10 minutes, for a complete action during the night. If you suffer also from dryness on your body, we recommend to use ATODERM Cream every day. 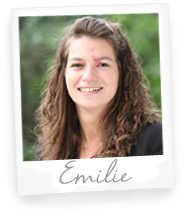 We can help you to control your breakouts. Unfortunately we don’t have anti-ageing products, but the best way to fight it, it is to keep hydrating it. So, we recommend to use every day twice a day HYDRABIO Serum and on top HYDRABIO Light, to keep hydrating your skin. Hydration improves firmness, elasticity and radiance. For your occasional breakouts, we recommend to switch to SEBIUM Global after HYDRABIO Serum. To control breakouts and dry skin at the same time, we recommend HYDRABIO H2O Micellar Water. It is a cleanser, make-up remover, and toner which hydrates your skin and decreases dryness. For the skincare routine, we recommend HYDRABIO Serum to improve hydration, and on top SEBIUM AKN to treat and prevent blemishes, while moisturising at the same time. You are right, you need a high SPF during summer especially if your skin is sensitive. The best product we can recommend is PHOTODERM MAX SPF 50+ Cream for the face, which you can also use alone as a daily moisturizer. But remember to re-apply every 2 hours during sun exposure. Moreover, if your skin is intolerant or allergic, it would be good to apply PHOTODERM MINERAL with its 100% mineral filters, which you can’t be allergic to. Emma, please don’t forget your SENSIBIO H2O 100ml on your travels, to clean your sensitive skin. Amazing product , not harsh , a joy to use , been using approx 3 weeks , just twice a week , made a lovely difference to my skin , actually felt like a layer of mousture left on skin after using , cannot say that about any other exfoliater I have ever used ! Another lovely to die for product from bioderma . This entry was posted on Wednesday, April 8th, 2015 at 5:41 pm and is filed under Skincare, Sun and Tanning. You can follow any responses to this entry through the RSS 2.0 feed. You can skip to the end and leave a response. Pinging is currently not allowed.